The chase is on. 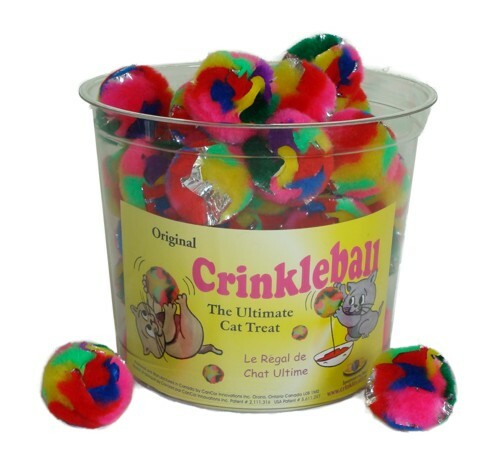 Cats freak over this soft durable Mini CrinkleBall. Cat lovers often purchase ten or more of these little gems. We have incredibly sold fifty to individual cat owners at one time. A devoted cat owner purchased 100 at one time. A must have. Great work out toy. The Mini CrinkleBall is perfect for kittens because they are light weight and soft.